Whether it is your commercial property or an intimate setting for your home, time weathers everything. 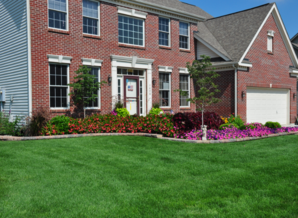 The quality care and maintenance will determine your property’s appearance. Best Bet – Get a Maintenance Plan. Berger Hargis has been recognized as one of the foremost specialists in tree, shrub, turf, and pond management. A great landscape is the process of many factors – the site design, the site constraints, the intended use of the space, the correct installation, and finally the correct maintenance. 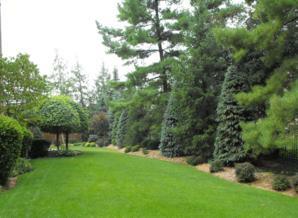 Maintaining a great landscape preserves the value of your property. Time weathers everything. It is critical that the proper care of your investment is planned. 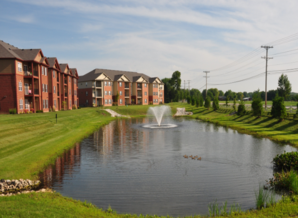 Many sites we maintain include lakes, ponds and water features which also require maintenance. We are licensed and experienced in the control of aquatic weeds through a variety of chemical and natural methods. If you have an aquatic lake, pond or water feature, we are the most experienced local contractor in aquatic management. Trees and shrubs are essential elements in your landscape, adding structure, texture, and color as well as establishing focal points. 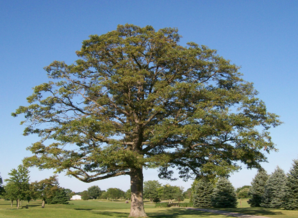 Maintaining trees and shrubs are critical to the overall appearance of your property. A proper maintenance plan will help your plants reach their full potential.